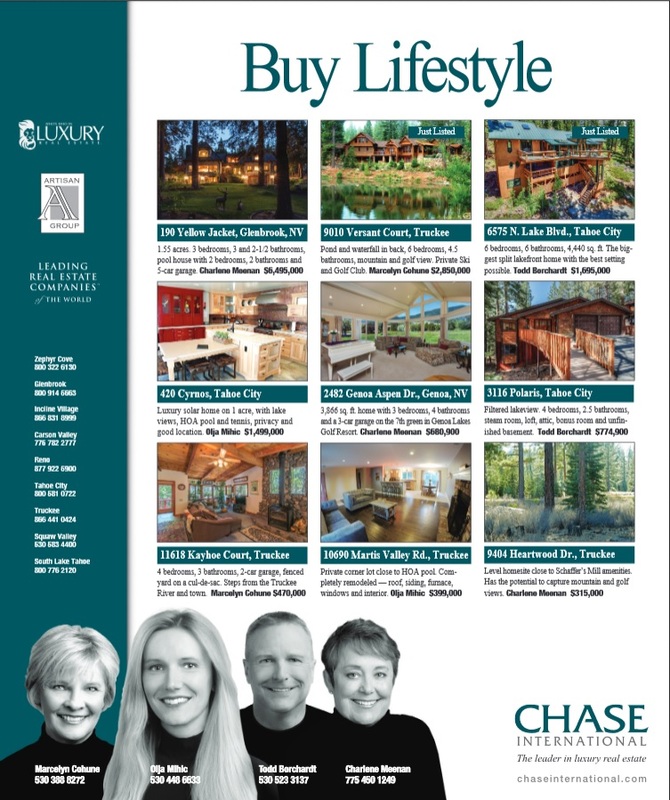 Make sure to check out the 4th of July issue of Lake Tahoe Homes and Land Magazine, and come preview our Chase International Lake Tahoe real estate listings, including Olja Mihic’s 10690 Martis Valley Rd, Truckee – listed for 399,100 – and 420 Cyrnos Way, Tahoe City – listed for 1,499,000. Don’t hesitate to contact Olja Mihic, your Lake Tahoe Realtor with all your Lake Tahoe real estate questions, or search Lake Tahoe MLS in real time. Chase Lake Tahoe Listings – bigger picture of the below.